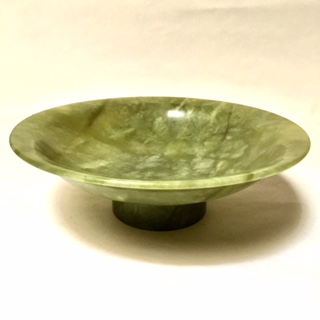 Smooth surface jade bowl. 7" in diameter and 2 1/4" height. 2 1/4 diameter in base rim.